I've enjoyed tracking some poets over the course of several years. In the case of James Cherry, I started reading his work in 2005, and I've kept track of his writings since that time. 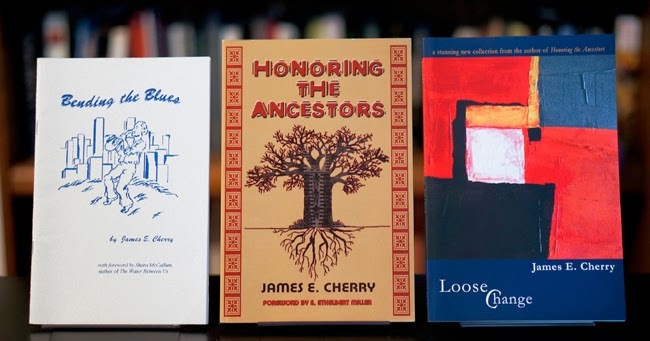 His books Bending the Blues (H&H Press, 2003), Honoring the Ancestors (Third World Press, 2008), and most recently Loose Change (Stephen F. Austin State University Press, 2013).